Mortgage Broker or Banker: What’s the Difference? Today’s mortgage broker is a different breed from those of the housing bubble days. Here’s why — and when — it makes sense to use a mortgage broker. Banks have been tightwads when lending money, and consumer eligibility requirements are tougher than ever for mortgages or refinancing. In this difficult environment, a mortgage broker can tailor a loan that suits your needs. And, thanks to new Federal Reserve rules, you’ll be protected from predators. They must choose loans in the consumer’s best interest. Most brokers represent six or seven lenders, and shop competitively amongst them. If you work directly with a bank, you’ll have access to its products alone. A mortgage broker can help mitigate potential headaches by handling every aspect of the process. Before the financial crisis, it was relatively easy to become a mortgage broker, but things have changed. Each state has its own supervisory group, and a majority of licenses are handled by the National Mortgage Licensing System (NMLS), which was established in 2008, to improve supervision of the industry. “A licensed broker must now have 20 hours of education, pass a state and national test, and undergo fingerprinting and background checks,” says Donald Frommeyer, president of the National Association of Mortgage Brokers (NAMB). You want someone to support you through the process. You’re a less-than-desirable loan candidate (low credit score, spotty work history, self-employed). You want flexible terms (lower down payment, mortgages with terms other than 15- or 30-year). You don’t have time to shop around. However, if you meet the higher standards that banks currently require, including a credit score over 740, a steady income, no debt, and assets in the bank, you can go directly to a bank. 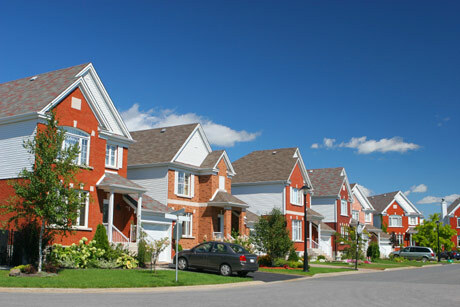 But you may not receive the personalized attention that mortgage brokers offer. “There’s no common standard in fee-setting, but the average fee for brokers is around 1% to 2.5% of the loan amount,” Donhoff says. Frommeyer, who has been in the business for approximately 35 years, says that brokers can generally get you a better interest rate, about 0.25% below what banks offer. How may this play out? On a $200,000 loan at 4.25%, for example, you’ll pay $983.88 per month, with total interest payments of $154,196.72. Bump the rate to 4.5%, and you’ll pay $1,013.27 per month, with total interest of $165,813.42. You’d save $352.68 annually — which equals $10,580.40 over 30 years — and an additional $11,616.70 in interest over the course of the loan with the lower rate. To find a mortgage broker, get recommendations from friends, REALTORS®, or search the NAMB database to find a certified professional near you. Check licensing with the NMLS. A good broker can take the headaches out of the mortgage loan process.